Brittni studied acting at NYU’s Collaborative Arts Project as well as CSU Sacramento. She is a member of the B Street Theatre Acting Company and has been seen at CapStage as Nina in Stupid F##king Bird, Sylvia in Tribes, Nora in A Doll’s house, and Elizabeth Bennet in Miss Bennet: Christmas at Pemberley. She is a certified yoga instructor and received her 200 hr RYT training at PLAY (Peace Love and Yoga) in Carlsbad, CA where she is currently teaching. 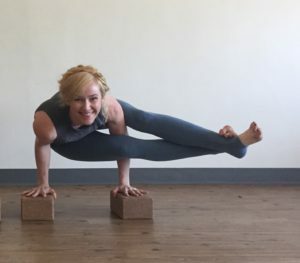 Those two loves, acting and yoga, came together when she realized she was getting consistently cast in things due to the inner peace, sense of self-worth, mental clarity, and confidence that she gained from her yoga work. Seeing they went hand in hand, she developed this program to bridge the gap for other actors, the one between health, happiness, and the intensely emotional and vulnerable work we perpetually engage in as actors, through our performances and auditions. 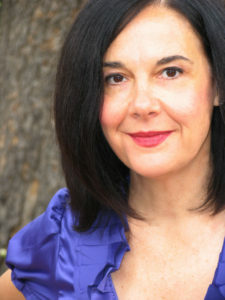 Gail holds an MFA in Acting from the Yale School of Drama and is a proud member of Actors Equity Association. With more than 30 years experience as an actor, director, and theatre arts educator, Gail is currently an Adjunct Professor of Theatre at Cosumnes River College where she teaches acting. She has taught classes for Big Idea Theatre; worked as an instructor for California Musical Theatre workshops and camps; taught master classes for YPC at Sacramento Theatre Company. Gail is also an award winning teaching artist for the Sacramento Metropolitan Arts Commission and offers private acting lessons/coaching. Michael Jenkinson is an Associate Artist for Sacramento Theatre Company. 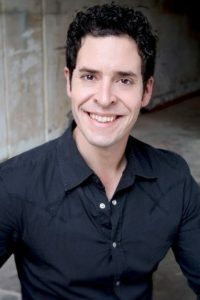 This past season Michael has performed in Diary of Anne Frank, A Christmas Carol, Macbeth, and will direct/ choreograph STC’s upcoming production of Man of La Mancha. Formally, Jenkinson was a Resident Artist at Pacific Conservatory Theatre (PCPA); a company for which he served as teacher( musical theatre dance, movement for the actor ) as well as choreographed, directed, and appeared in more than 80 productions. Other companies include: Summer Repertory Theatre, Sierra Repertory Theatre, Oregon Cabaret Theatre, Idaho Shakespeare Festival, Milwaukee Repertory Theatre, Delaware Theatre Company, Phoenix Theatre, The Great American Melodrama and Vaudeville, San Luis Obispo Repertory Theatre, The Alliance, Geva Theatre Center, and the Old Globe. Michael performed in both the national tours of Grease and Fame The Musical, as well as serving as the dance supervisor on the international tour of fame the musical. Jenkinson is a proud member of Actors’ Equity Association. Jamie has been an acting coach and teacher for 13 years. Her recent credits include Mary Stuart (Davis Shakespeare Festival), Marjorie Prime (Capital Stage & American Stage), A Moving Day (B Street Theatre) and Luna Gale (Aurora Theatre Company). 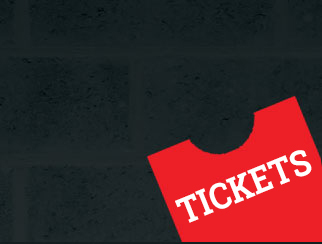 Other regional theatres include: American Conservatory Theatre, Berkeley Repertory Theatre, California Musical Theatre, Center REPertory Company, Encore Theatre Company, Marin Theatre Company, Sacramento Theatre Company, Utah Shakespeare Festival and Z Space. New York theatres include: The Connelly Theatre, Theatre at St. Clements and the Lincoln Center Director’s Lab at HERE Arts Center. Television credits include: Law and Order and the mini-series Gone But Not Forgotten. 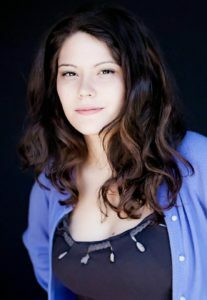 Jamie is a member of the B Street Theatre Acting Company and an Associate Artist at Capital Stage. She holds an M.F.A. from the American Conservatory Theatre. Abby Miller, native of West Tennessee, first moved to Sacramento in 2016, after completing a B.A in Theatre Performance from Freed-Hardeman University. Since then, she has worked as an actor, music director, accompanist, vocal coach, and teaching artist for various theatres across the country. Music directing credits include: STC: Shrek, Kiss Me Kate, Seussical, Peter Pan JTCT: Annie, You’re a Good Man Charlie Brown. For over thirty years Matt has made a living as a professional actor in every aspect of the art. 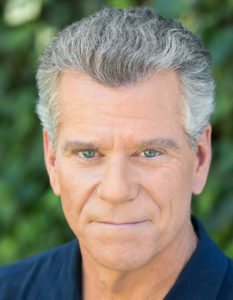 His acting resume includes several TV shows, voice-over work, and various theatrical productions locally, across the country and internationally. Having been an acting coach and teacher for many years, Matt’s credentials include adjunct professor of Theatre Arts for the Los Rios Community College District; an instructor for the Arts Guild of the Rio Valley Charter School and past camp director for the Capital Stage Company and Sacramento Theatre Company’s theatre programs. He has also been a Master Teacher for the Sacramento Theatre Company’s Young Professionals Conservatory where he also served as director, playwright and artistic director. In addition, Matt offers one-on-one coaching for actors of all levels. Peter Sinn Nachtrieb, 6’6”, is a San Francisco-based playwright whose works include The Making of a Great Moment (Merrimack Repertory Theatre, Z Space 2017), A House Tour of the Infamous Porter Family Mansion with Tour Guide Weston Ludlow Londonderry (Z Space 2016), The Totalitarians (NNPN premiere 2014), boom (TCG’s most produced play 2009-10), BOB, (2011 Humana Festival for New American Plays at Actor’s Theatre of Louisville, Barrie and Bernice Stavis Award), T.I.C. (Trenchcoat In Common), Hunter Gatherers (2007 ATCA/Steinberg New Play Award, 2007 Will Glickman Prize), Colorado, and Litter: The True Story of the Framingham Dodecutuplets. 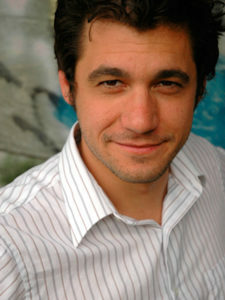 His work has been seen off-Broadway and across the country including at Ars Nova, Woolly Mammoth, SPF, Seattle Repertory, Actors Theatre of Louisville, Southern Rep, Kitchen Dog, and in the Bay Area at Z Space, A.C.T., Encore Theatre, Killing My Lobster, Marin Theatre Company, Impact Theatre, and The Bay Area Playwrights Festival. Projects in process include an original musical called Fall Springs (NAMT festival 2017) with composer/lyricist Niko Tsakalakos. 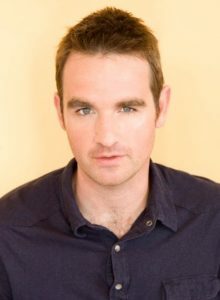 Peter holds a degree in Theater and Biology from Brown and an MFA in Creative Writing from San Francisco State University. Peter is an alumna of New Dramatists and is Playwright in Residence at Z Space in San Francisco. He likes to promote himself online at www.peternachtrieb.com. 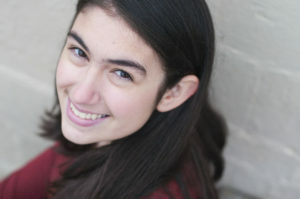 Katie Rubin is a seasoned Improviser, Stand Up Comic, Solo Show Performer, and Comedic Actress. She has a BA in Theater and Dance from Amherst College and an MFA in Acting from UC Davis where she taught Acting and Improv to undergraduates for two years. 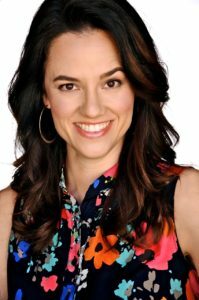 She has taught Improv in colleges, theaters, and professional organizations around the country. Most recently she lead a two day workshop at Stanford University called “Bringing the Funny to Business.” She has taught various forms of Stand Up, Improv, and Comedic Team Building skills at Theaterworks in Palo Alto, Berkeley Playhouse, Marin Theater Company, Capital Stage, Big Idea Theater, Gables Stage, City Theater, and various theaters in South Florida and New York city. Currently, Katie is using her Improv Skills to teach Improv, Public Speaking, and Team Building with “Speechless” in San Francisco. Additionally, Katie tours the country (and lately, the globe!) with her Stand Up Comedy and Comedic Solo Shows. 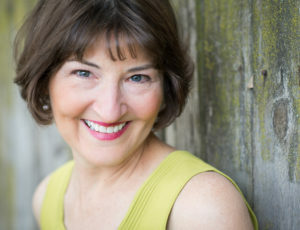 Janis has been working with Capital Stage on a regular basis since 2006. After receiving her MFA from Ohio University’s Professional Actor Training Program, she began her professional career at the Old Globe in San Diego and went on to work in the English-speaking theatres of Vienna, Austria for the next ten years. 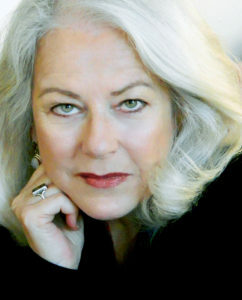 Upon returning to the States, her work has been seen in regional theatres across the country, including the Idaho Shakespeare Festival; Lost Nation Theatre, VT; TheatreWorks, Silicon Valley; the Magic Theatre, San Francisco; Sierra Repertory Theatre, Sonora, CA and local Equity companies in Sacramento. Janis is a 2006 Drama Desk Nominee for her portrayal of Vivien Leigh in the off-off Broadway production of Vivien, a role for which she also received the Bay Area’s Dean Goodman Choice Award for Solo Performance. She is a Resident Company Member of the Theater at Monmouth in Maine where she directs and performs during the summertime. As well as teaching in the Theatre Arts Department at American River College, Janis conducts classes for the CapStage Apprentice Company and offers private coaching throughout the year. Her work as a director has also received much acclaim across the country. She is extremely proud to be a member of Actors’ Equity and of the Capital Stage Company. Jamie is a graduate of the Dell’Arte International School of Physical Theatre’s MFA program in ’09, with previous improv/comedy and physical theatre training in Vancouver, Canada from master teachers including Keith Johnstone and David Smuckler. Jamie has been working both nationally and internationally in the professional theatre world as a performer,theatre maker, and director. His original ensemble piece, It’s Only Temporary, played at the Network of Ensemble Theatre Festival and Brava theatre in San Francisco. Jamie’s directing credits include Art!, A Boys’ Life, A Dream Play, Around the World in 80 Days, Ubu Roi, King Stag, and Recipe for Disaster. Jamie has helped devise plays with Detroit based Hinterlands Dead Road and Berkeley based Inferno Theatre’s Illiad and My recollect Time. He spent time with Traveling Players Ensemble, an outdoor summer camp based in Virginia, where he directed a touring production of The Tempest. Jamie has provided numerous workshops in clown, commedia, and improv to all ages and enjoys bringing these skills to life. Trained at Circle In The Square Theatre School in Manhattan. San Francisco Playhouse: She Loves Me (Ilona), City of Angels (Alaura/Carla), Noises Off (Belinda), Other California Credits: Fifth of July (Gwen) at Aurora Theatre in Berkeley, Capital Stage’s Behavior of Broadus (Rosalie), B Street Theatre’s Italian American Reconciliation (Teresa), California Musical Theatre’s Suds (Marge), New Helvetia Theatre’s Tick, Tick…BOOM! (Susan), Hedwig And The Angry Inch (Yitzhak), Tell Me On A Sunday, It’s Only Life, Little Fish (Cinder), and They’re Playing Our Song (Sonia). NYC: One Good Day (Kat), Uncommon Women & Others (Rita), Pericles (The Bawd), Ludlow Ladd with Donna-Lynne Chaplain. Winner of Bay Area Theatre Critics Circle award, 2017. Proud member of AEA.